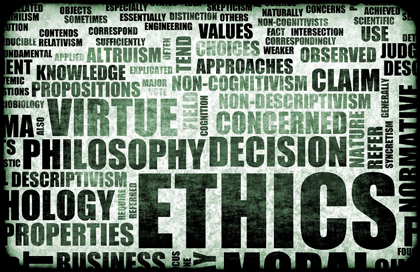 March is Ethics Awareness Month, and two events are among the opportunities to revisit this important principle at the foundation of our County culture. Attend the fair! The Office of Ethics and Compliance is hosting an Ethics Awareness Information Fair from 11:30 a.m. to 1 p.m., March 24 at the County Operations Center plaza. There will be music, a raffle for prizes, free goodies and resources for County employees. Confirmed participants include several County departments, employee resource groups (ERGs), and providers such as Kaiser Permanente and Anthem Blue Cross. There will be a special presentation at noon, and an opportunity drawing at that time. Speak up or listen in at an open forum. A town hall discussion will be held from noon to 1 p.m., March 18 at the County Operations Center Chambers. The event “Our Ethical Responsibility in Advancing Live Well Communities” will feature former County executive Harold Tuck as the moderator and will include Don Steuer, Assistant CAO, and Joe Cordero, Director of OEC. Visit the Office of Ethics and Compliance on InSite to review the County’s Code of Ethics, frequently asked questions and additional resources like “Ethics in a Box” team exercises. If you would like more information regarding class offerings or to schedule a training for your employees, call (619) 531-5174. Report unethical activities: County employees who suspect or are aware of fraud, waste, abuse or other misconduct by other County employees, contractors, vendors or other business partners have an obligation to report such activity to their immediate supervisor, manager, department head, Department of Human Resources or Office of Ethics and Compliance. If you’re not comfortable with any of these options, or would like to make an anonymous report, the Ethics Hotline is always an option. Call (866) 549-0004.